There’s never too much of good things, yet each time we acquire a new exhibit, we swear this will be the last one. 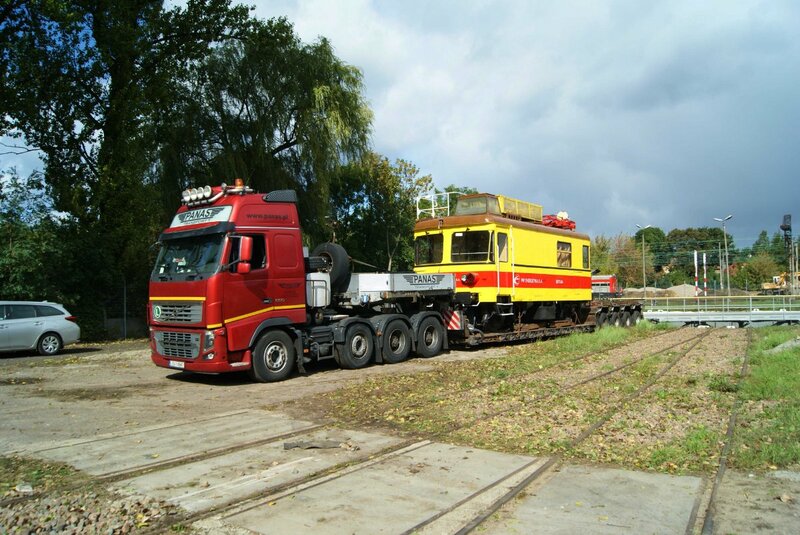 However, how can you decline, when you are offered a well maintained and prepared for exhibition vehicle for free? Such was the story of class SR71-04 line maintenance vehicle whose previous owner, PKP Energetyka S.A., contacted us in the spring of 2018. Of course, one can wonder, whether relatively young construction will be in the right place among the old steam engines. 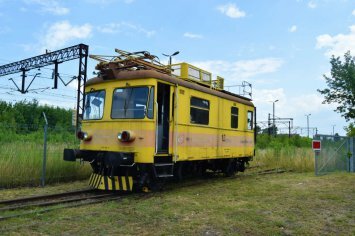 After considering the fact that most of the examples of this small series of specialistic vehicles were already scrapped, we hadn’t any doubts. 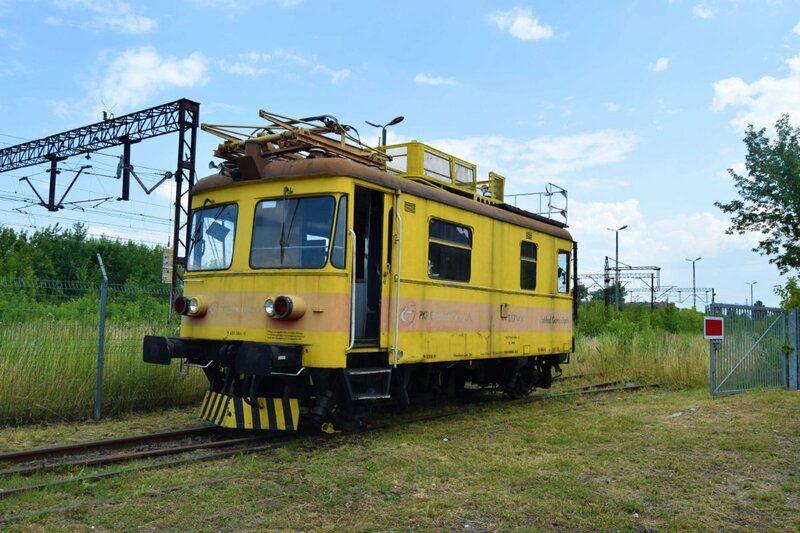 In July 2018 we visited the former Engine Shed Strzemieszyce (now part of Dąbrowa Górnicza) to select one of the disused vehicles from the Rolling Stock Maintenance Department. 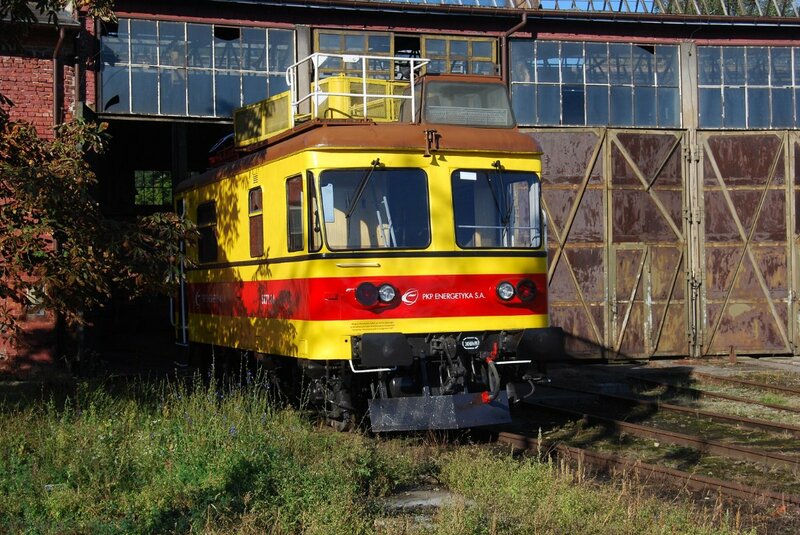 Our vote went to the older and better maintained vehicle № 04, built in 1975 in Railway Works in Lubań Śląski. It is the oldest vehicle of its class. 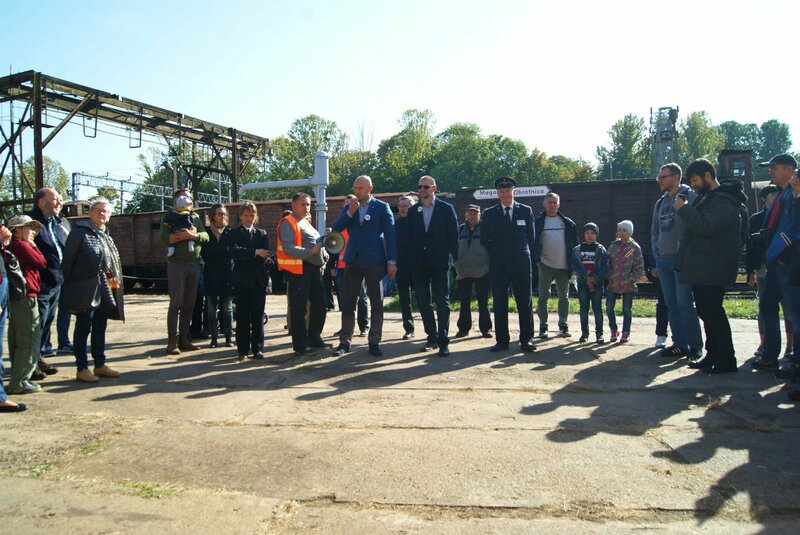 After the inspection we could launch all administration procedures. Simultaneously, we started looking for the money to pay the cost of transportation – the only expense our association had to cover. In the meantime, class SR71 received a fresh coat of paint and its interior was cleaned and fitted with missing parts. We also took our time to schedule the transport. Due to the technical reasons (the vehicle had its run permit overdue) we were limited to the transport by road. In the mid-September, class SR71 was ready for the trip to Skierniewice. 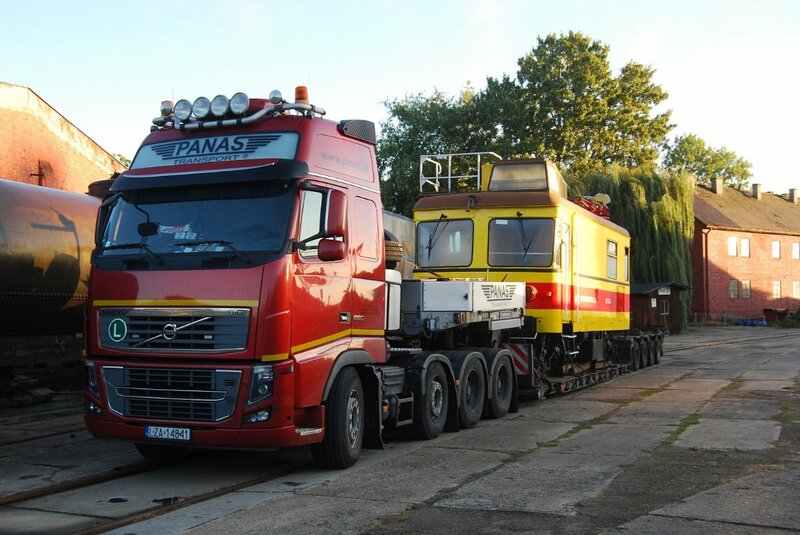 Once again we took advantage of the services of company Panas Transport from Zamość, who helped us in similar ventures and have the experience in transporting the old railway vehicles. On 24th September class SR71-04 was loaded on the special flatbed and prepared for the road. 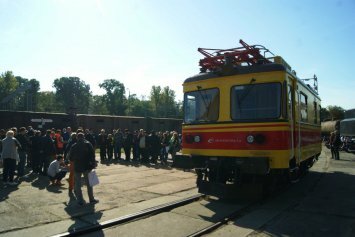 The transport covered the distance between Dąbrowa Górnicza and Skierniewice without much hassle. 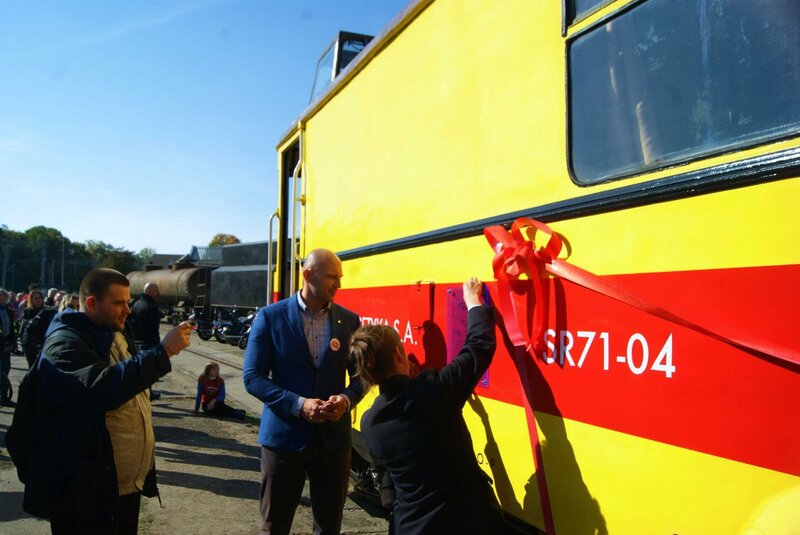 On 25th September it reached the engine shed were the vehicle was swiftly unloaded and stored in the roundhouse, where it waited for its grand debut. 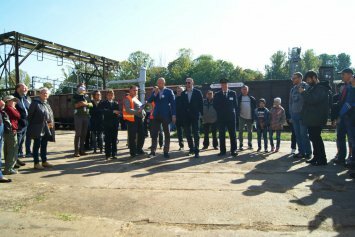 The official hand-over was planned for the Open Day on 6th October. 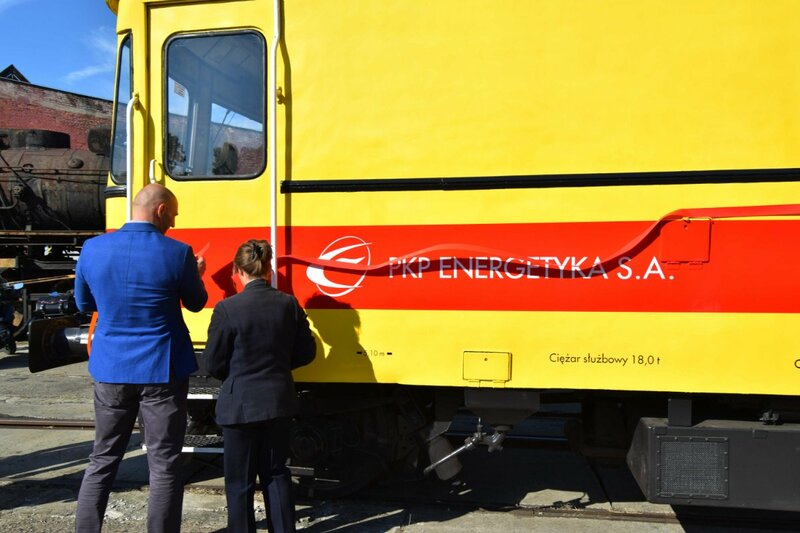 In the presence of the vice-president of the City Council of Skierniewice Mr Dariusz Chęcieleski, the representative of the board of PKP Energetyka Mr Mariusz Zalewski oficcialy presented the vehicle to the vice-president of PARE Judyta Kurowska-Ciechańska. After cutting of the ribbon, the vehicle was opened to the guests. We would like to express our gratitude to all who helped us to collect the money for the transportation of the vehicle. The details of the collection will be published shortly.